Belle Vue Restorations Ltd is a partnership between Peter Grady and Edward Handbury-Madin that is recognised as one of the finest companies of its kind in the Midlands. The partners have over 40 years experience in furniture restoration, cabinet making and the antiques trade. Peter founded the company after completion of his Furniture Design course at Shrewsbury College of Arts and Technology. Edward has an extensive background in Antiques, his father being a well known Shrewsbury antiques dealer. The partners are highly regarded for the restoration of fine antique furniture, working for both the antiques trade and members of the public. They also restore quality modern furniture, and accept auction and insurance work. The majority of their business now comes from personal recommendation, truly a sign of satisfied customers. Peter and Edward apply the expertise and craftmanship they developed through restoration work to quality furniture design. At their Shrewsbury workshop they hand-make a range of television cabinets suitable for large flat screen televisions, and accept commissions for other bespoke furniture. 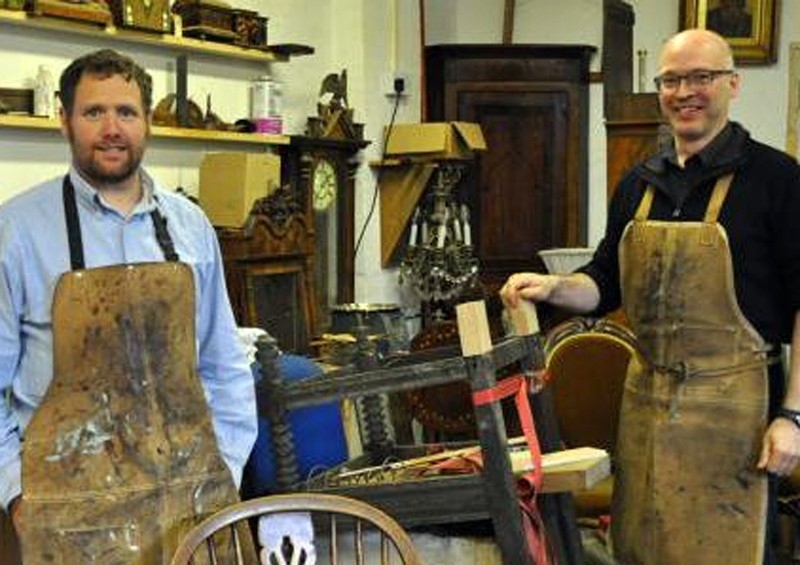 In 2012 the business expanded to open a shop - Belle Vue Antiques - next door to the restoration workshop. All furniture for sale in the shop has been fully restored by Peter and Edward; the shop is managed by Edward’s wife Nicola, who herself has 20 years experience in the antiques trade.